What Ferries can I get to Croatia? 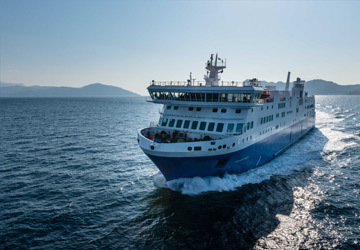 There are a whole range of ferries that are available for you to pick from when booking your journey to Croatia, coming from multiple ports in Italy, such as Ancona and Bari, and arriving at many different destinations across Croatia, from Dubrovnik to Split. The variety of ferries available means that there are different shipping routes and sail times available, from as little as an hour and a half, to as long as 14 hours and 15 minutes, so be sure to check before you travel. Can I get a Ferry from Venice to Croatia? It is entirely possible for you to get a ferry from Venice currently, with four different ports in Croatia for you to choose from as your destination. 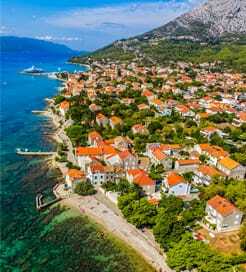 Sail times currently range between 2 and a half hours to 3 hours and 45 minutes, and there are about 33 sailings a week, so it is has never been easier to sail from Venice to your chosen port in Croatia. How much does the Ferry to Croatia cost? As there are so many different ferries on offer for you to choose from, prices will greatly vary, along with fluctuations caused by seasonal changes and local changes, so we recommend using our helpful fare finder tool to choose your best ticket prices and route. Can I take my car on the Ferry to Croatia? Currently, there are only certain routes that allow you to bring your car with you, and many routes do not support cars, such as the ferry to Hvar Island, so please make sure that you check before you travel.